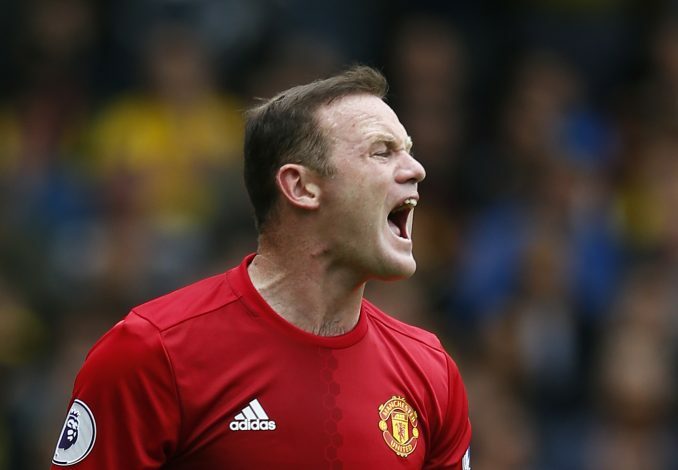 Wayne Rooney has opened up about the moment he realized it was time to draw the curtain on his Manchester United career. The Red Devils legend brought an end to a glittering thirteen year career at Old Trafford earlier this week, when he rejoined his boyhood club Everton on a free transfer. Despite doubts surrounding his future dragging on since the start of the new year, Rooney has now admitted that he had already made up his mind in November, and knew it would be his final season in United red. The 31-year-old had been the talisman for United for a majority of his time at Old Trafford, but things changed drastically for the captain in Jose Mourinho’s first season, as he lost his place as a regular starter for the club – which ended up costing him his place in Gareth Southgate’s England squad. In the end, Wayne Rooney is not a player who will accept a place on the bench, and that ultimately led to him deciding to return to the place where it all began. Speaking in an interview, United and England’s record goalscorer said: “It was around November I knew [I’d be leaving]. I spoke to Jose in January to see what his opinions were, and he always said he wanted me to stay and help the team until the end of the season. “I did that. I helped in the games he put me in but I knew I had to leave to move forward for my career. It was a sad moment because I had been at the club for 13 years but I had to think of my career as well. “I started the season doing OK. I had a bad game at Watford away and that was it. He [Jose Mourinho] started with me as a No.10 with Zlatan [Ibrahimovic] up front, but then he changed the system a little and the lads who came in did well.